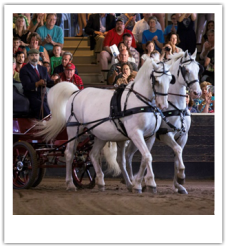 Our public performances, scheduled on select Wednesday, Saturdays and Sundays from June to September (see 2019 Performance Schedule), follow the progressing stages of development of horses from foals through advanced training. Find here the highlights of our performance program. It is all set to music with the pristine fields of Tempel Farms as the backdrop. 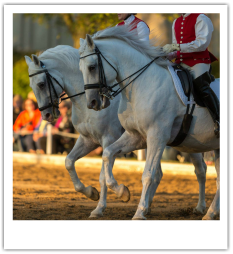 All guests are invited into our performance stables following the show to meet our equine stars. The newest generation these 3-5 month old youngsters, accompanied by their mothers, usually steal the show. 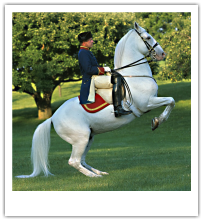 Since the breed’s origin, the Lipizzan has been used for driving. 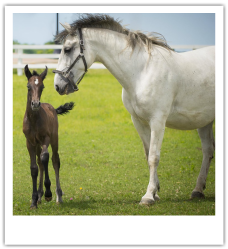 These horses are in the earliest stages of development. Watch the expression and power of these young students as they make their way around the arena. 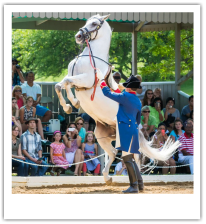 These intermediate level stallions perform a ballet of two - so close that you will hear stirrups clink. 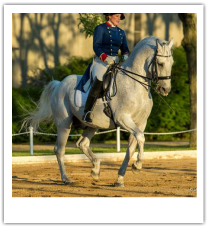 ​Only a highly trained horse and experienced trainer are able to demonstrate this partnership. 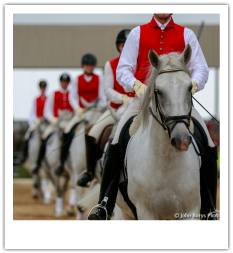 The subtly of communication between horse and rider and elegance of horse movement is what makes this segment a true art. 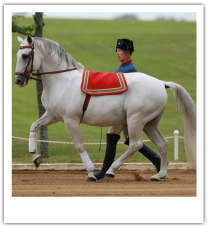 This segment is a tribute to the Olympic Sport of dressage; this is a demonstration of high level competitive dressage choreographed in a musical freestyle. Look for harmony, artistry and a high degree of difficulty. 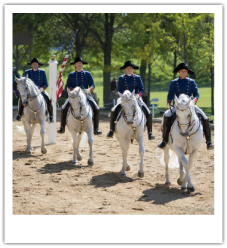 The trainer leads the horse by a short rein while calling for specific movements. These movements require great strength and intelligence to demonstrate. 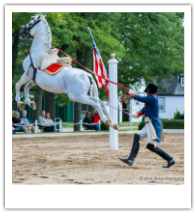 The Airs Above the Ground were developed from their form as medieval battle techniques. 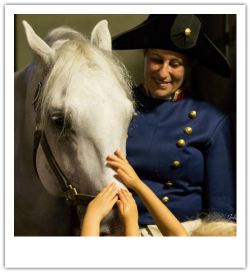 Horses and trainers alike are pleased to get to know you following the show. Pet some noses and ask questions of the experts.